RSS was designed to make the information transfer process easier between websites to the user in a form that’s easily readable to users. To read RSS feeds, you need to have a tool which we call RSS Reader. So, in this article, we have discussed some of the best online RSS Reader that you can use in 2019. Well, the world of the internet is evolving at a rapid pace. Every other day we visit a new blog and finds exciting content to read. So, with so many blogs pumping out great content to read, it can be hard to follow everything. However, RSS makes everything a lot easier. RSS which stands for ‘really simple syndication’ or ‘rich site summary’ is nothing apart from just a simple text file with some basic information – Information can be something like a news article, how to tutorial, or something else. RSS was designed to make the information transfer process easier between websites to the user in a form that’s easily readable to users. Now, you all might be asking about what’s RSS Feed. Well, RSS Feeds is used to push anything from text, videos, gifs, images and other media content that’s available on any particular website. For example, if you subscribe to techviral’s RSS feed, you will need an RSS reader to read all the content. The RSS Readers becomes the most important thing for the viewers. To read RSS feeds, you need to have a tool which we call RSS Reader. Now, RSS Readers are available on different forms like RSS app, websites, or the one that delivers feeds via email. 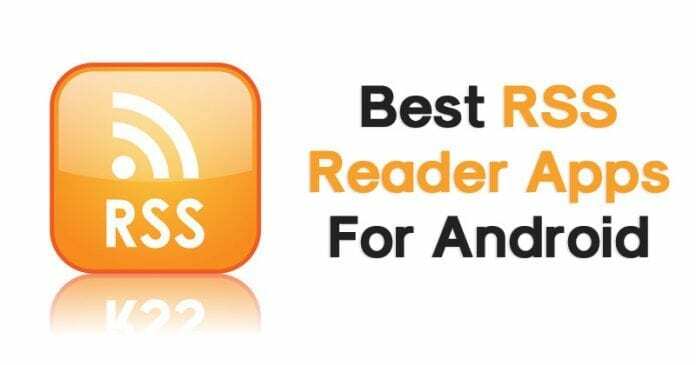 So, in this article, we are going to discuss some of the best online RSS Reader that you can use in 2019. So, let’s explore the list. Well, the Old Reader is one of the best online RSS Reader which you can use. Talking about the RSS Reader, The old reader offers lots of modern features and users can easily add RSS Feeds from their favorite blogs. Not just that, but The Old Reader also allows users to add feed URL for the source they want to subscribe to. The Old Reader also allows users to connect their Google and Facebook accounts to know what their friends are reading. So, its one of the best RSS Reader which you can use today. Well, Feedly is another best online RSS Reader which you can consider. The great thing about Feedly is its interface which looks clean and well organized. Apart from that, the app is excellent for reading feeds of different websites or blogs that you have subscribed to. The homepage of Feedly is also filled with the latest news from everywhere. 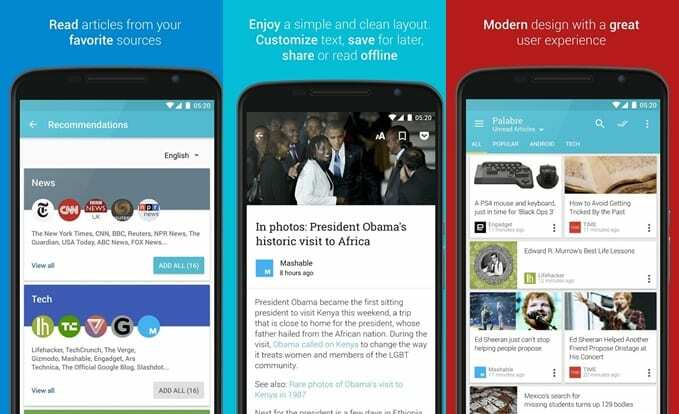 So, Feedly is another best free RSS Reader app for Android that you can use. 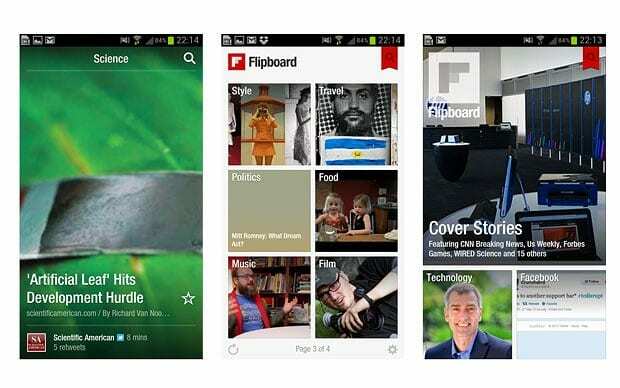 Well, if you are looking for a free RSS Reader app for your Android smartphone, then Flipboard might be the best choice for you. Guess what? The interface of Flipboard is quite impressive, and it’s nothing less than Feedly. Basically, Flipboard is a news aggregator, but you can easily transform your daily RSS feeds into a magazine-style reader. 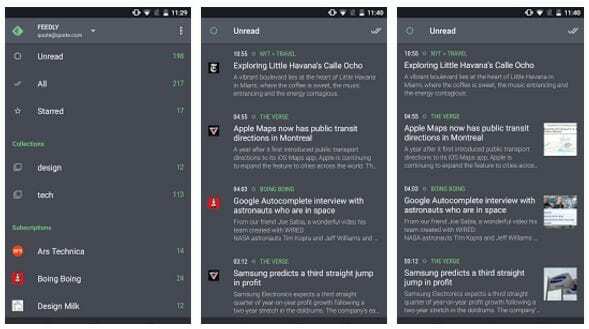 Well, if you are looking for a full-featured and straightforward offline RSS Reader app for Android, then FeedMe might be an excellent choice for you. The great thing about FeedMe is that it allows users to add RSS Feeds of different blogs and you can easily sync, tag, swipe through your feed. 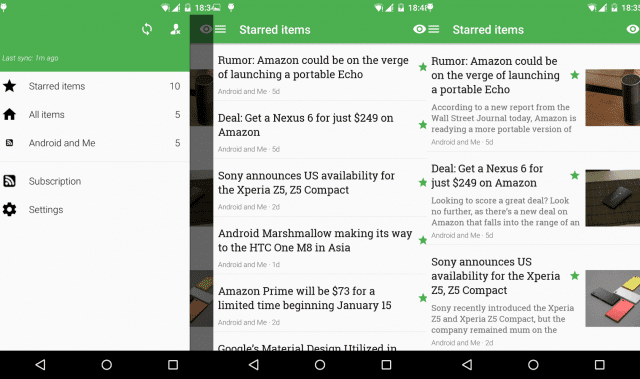 So, FeedMe is another best free offline RSS Reader app that you can have today. 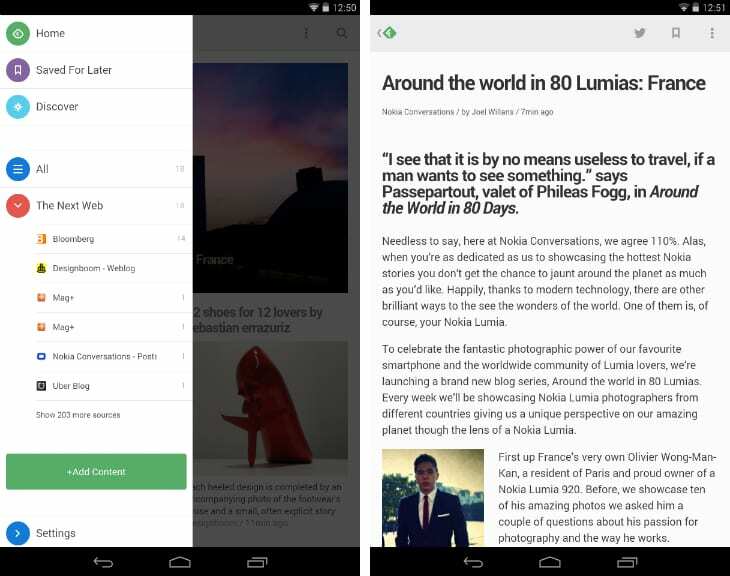 Flym is another lightweight RSS Reader app for Android that you can consider today. The great thing about Flynn is that it allows users to add feeds of different websites and blogs and it sends you the notification of new articles. 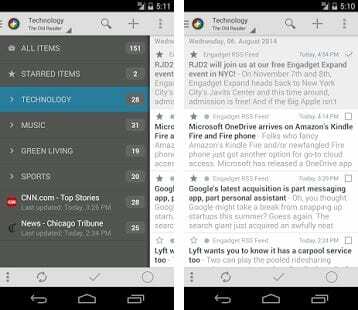 So, Flym is one of the best RSS Reader app that you can use today. If you are looking for a simple RSS reader that can give you access to latest blog content, websites, magazines, newspapers, etc., then Inoreader could be a great choice for you. The app is super fast and its really very easy to use. If you purchase the premium version of Inoreader, then you can save articles for offline viewing. 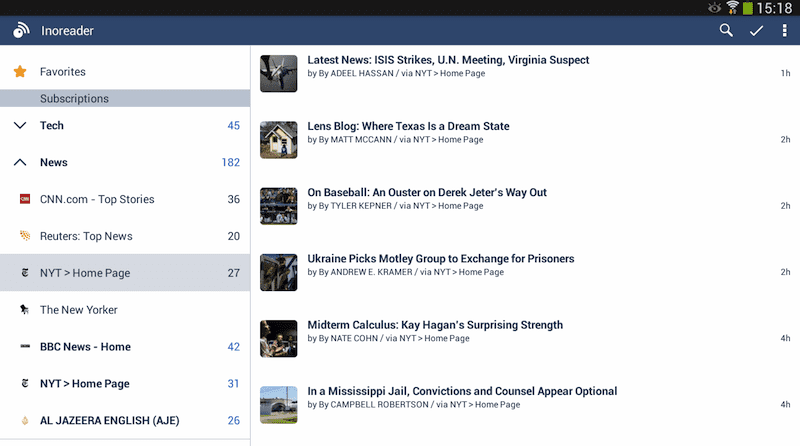 So, Inoreader is another best RSS Reader app that you can have on your Android. Well, Newsfold grabs the feed from Inoreader and Feedly. On Newsfold, you can find almost all the content that you see on Feedly. However, the interface and navigation on Newsfold is more amazing, and it comes with a few unique features. Newsfold also has dark and light themes which improve the readability. Apart from that, Newsfold also brings in support for offline reading, add-free reading, etc. If you are looking for a free and stunning RSS Reader, then you can try Palabre. 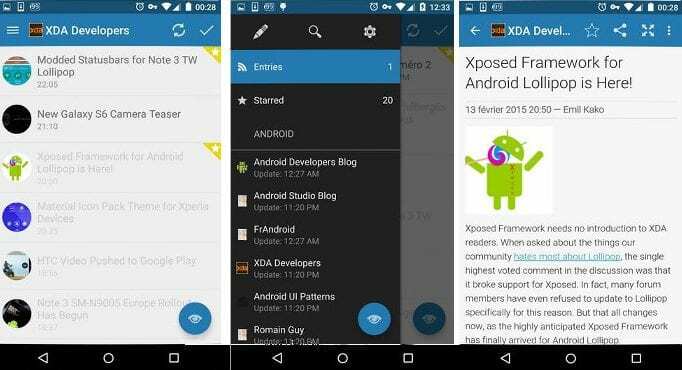 Palabre is one of the best free RSS Reader app that you can enjoy on your Android device. The interface of the app is impressive and it has support for offline viewing. However, users don’t get an option to add RSS Feed of any blog, and it just shows news content from various popular sites. Well, News360 is not actually an RSS Reader app, but it’s more like a personalized news reader app. The app automatically recognizes what you like to read based on what you have already read. So, News360 gets better and smarter as you use and it will show you things that you would like to read. The interface of News360 is also pretty good and it has features like social media integration, offline reading, etc. 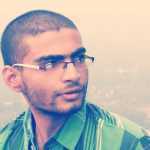 So, News360 is another best RSS reader app that you would love to have on your Android device. 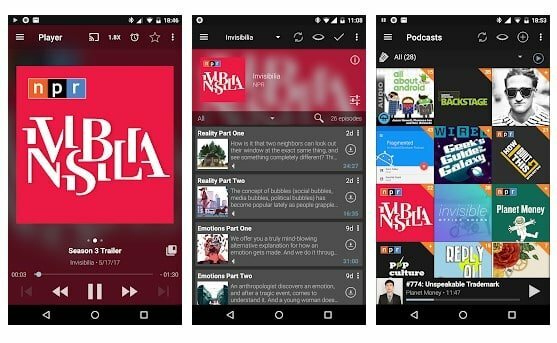 Well, Podcast Addict is an app that allows users to manage Podcasts, Radio, Audio Books, Live Stream, etc. The great thing about Podcast Addict is that it also allows users to manage RSS News Feeds. 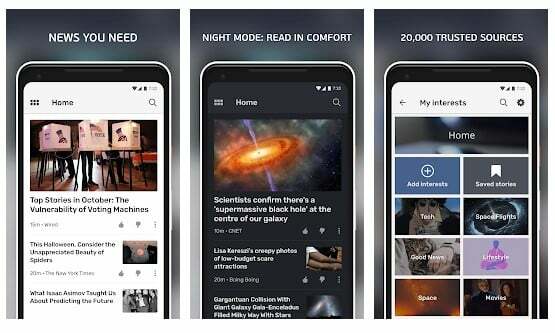 The app also offers tons of unique features like widgets, Android wear support, Android Auto Support, Full-screen reading mode for RSS news feeds, etc. So, Podcast Addict is another great RSS Reader app that you should have on your Android. So, these are some of the best free RSS Reader app that you can use on your Android smartphone. So, what do you think about this? Share your views in the comment box below.